Needing a frame or stake for your yard or site sign? 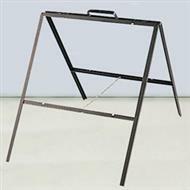 We carry a variety of frames and stakes for aluminum, composite or coroplast signs. 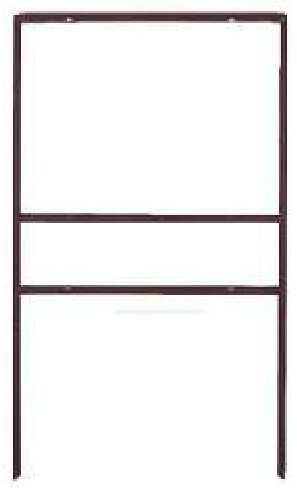 The steel frames are typically used for metal sign faces but can also be used with coroplast. 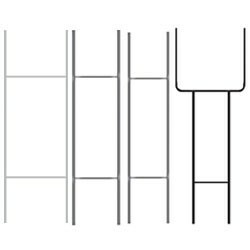 The T-Bar and Sign Stakes are mostly used for single sided metal signs in small sizes such as 12x18" or 18x24". The corostakes are only used on coroplast signs. They're cheaper than the metal frames, but are only used for temporary applications. Made of 3/4" angle iron. is the 10x30" shown on the left.